There are 29 Aquaculture jobs in Scotland. Aquaculture is a growing and increasingly important food production industry to Scotland. It helps to underpin sustainable economic growth in rural and coastal communities particularly in the Highlands and Islands with many depending on the employment and revenue it provides. 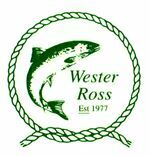 Find out more on the Scotland's Aquaculture website.